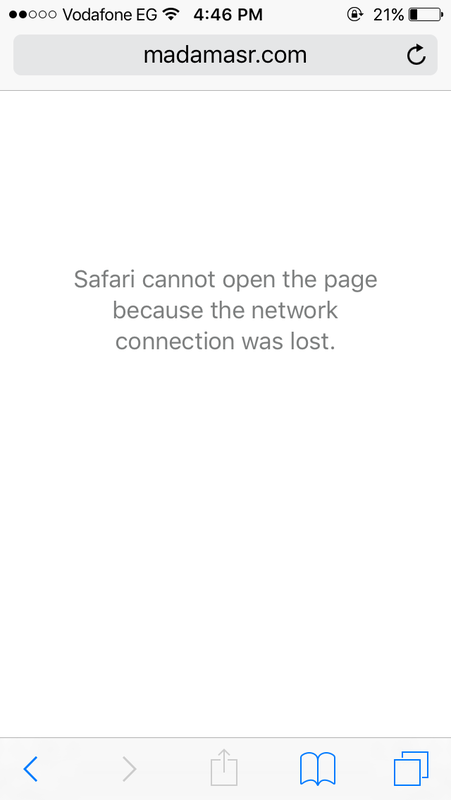 A screenshot from the result of Mada Masr website accessed from Egypt. 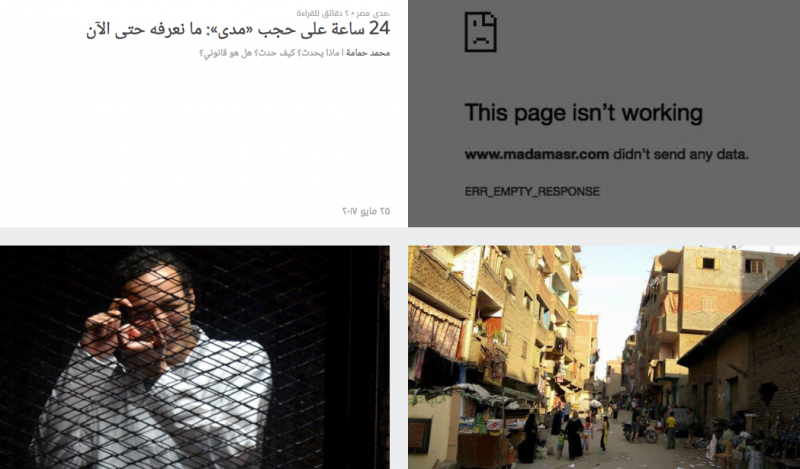 The Egyptian government's efforts to crack down on critical media platforms reached news heights this week when authorities blocked access to the Cairo-based independent news website, Mada Masr. An “independent and progressive” news outlet that covers a variety of topics including politics, culture and the economy, Mada Masr routinely published stories of critical interest to the public that are seldom reported by other outlets. They have covered the ongoing crackdown on activists and journalists, attacks on Egypt's Coptic minority and the plight of refugees in Egypt. 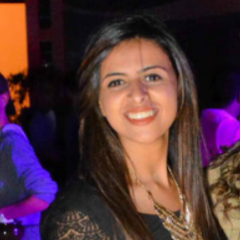 Mada Masr home page. Screenshot taken from USA, on May 26, 2017.